Here are some thoughts I had while watching a video of two tortoises banging. 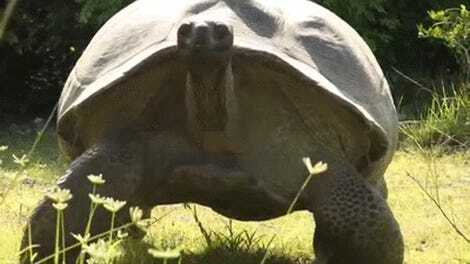 1) Is this actually a video of two tortoises banging? I only see one tortoise. 2) Who is filming this, and how can I meet them? 4) Why does this video not carry a warning in its title? There are children on the internet. 5) Who runs ViralHog, and how can I meet them? 6) Oh, there’s the other tortoise. 7) The caption says the following: “It lasted a few minutes and eventually the turtle on top had been pushed by a third one and been placed on its back.” Why did the person stop filming before the overeager third tortoise showed up? 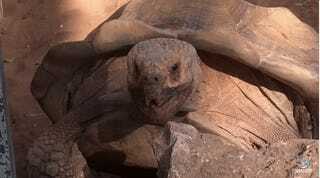 8) I wonder what a tortoise would think of human coitus. Now I am stuck in a strange Youtube hole which I would very much like to escape. Please, someone help me.